This easy-to-read full color handbook gives you a big-picture view of the Bible to set you up for a lifetime of Bible learning. Quickly get a firm grasp of key Bible foundations that will give you a clearer understanding of God and his Word than ever before! Discover: Bible history and culture, people and characters in the Bible, major themes of every book, seeing Jesus in the Old Testament, and applying biblical truths to today's world. Includes over 200 charts, time lines, maps, and pictures. 256 pp, trade paperback, 7 x 9.5 inches. The 8 Major Themes in the Bible?Salvation in Christ, Living by Faith, God's Sovereignty, and more! You know it's important to read God's Word: we read the Bible to get to know the Author himself, but it's an intimidating book! With 66 books and around 800,000 words, the Bible is massive and complicated with history, names, and events. Where do you start? How should you read some of the miraculous events and interesting characters? The Self-Guided Tour Of The Bible answers these questions and many more! Tap into the incredible depth and wonder of God's Word with every page of the Self-Guided Tour Of The Bible. What makes the Self-Guided Tour Of The Bible unique? Unlike other Bible guides and commentaries, the Self-Guided Tour Of The Bible tells you everything you need to know using clear summaries, easy-to-read overviews, maps, charts, and time lines. Several key features make the Self-Guided Tour Of The Bible the clear and easy choice? Get refreshed by these easy-to-read overviews of key aspects of the Bible as you turn the pages of Self-Guided Tour Of The Bible. 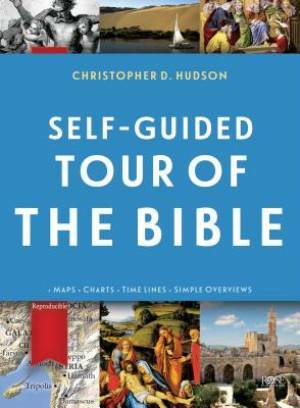 Self-Guided Tour Of The Bible by Hudson, Christopher D. was published by Rose Publishing in September 2016 and is our 39399th best seller. The ISBN for Self-Guided Tour Of The Bible is 9781628623550. Be the first to review Self-Guided Tour Of The Bible! Got a question? No problem! Just click here to ask us about Self-Guided Tour Of The Bible.